6 Reasons to Not Skip Your Yearly Cleaning - Thomas E. Cooke D.D.S. We rely on our teeth to perform a lifetime of tasks. Taking care of our teeth is critical, allowing us to enjoy healthy smiles throughout our lives. Regular brushing and flossing go a long way in protecting our teeth, but routine dental cleanings are critical in keeping our teeth as healthy as possible. Our teeth are surprisingly susceptible to disease, potentially causing us to experience severe pain and tooth loss if left untreated. Here are six reasons why regular dentist visits are a smart way to keep our teeth healthy and strong. Under the care of a family dentist, our teeth should be cleaned at least twice a year. This cleaning supplements our daily brushing and flossing regimens. A dental cleaning removes the built-up plaque on the tooth surfaces and between the teeth, helping to prevent the formation of tartar. Dentists use specialized scraping and irrigation tools to perform this critical twice-yearly task. By preventing tartar – hardened plaque that can’t be removed by brushing alone – dentists help their patients avoid gingivitis or more serious gum diseases. Protecting Your Gums – gum disease ranges from gingivitis or gum inflammation to severe periodontal diseases that can result in pain and tooth loss. Mild cases of gum disease can result in tender, discolored, or bleeding gums. Gum diseases are caused by the bacteria and plaque that form in between teeth and at the gum line. While brushing and flossing help keep the build-up of plaque to a minimum, teeth that are prone to decay can benefit from routine dental cleanings. Identifying Problems Before They Can Get Worse – by getting twice-yearly dental cleanings, your dentist has a chance to spot trouble before it can cause severe problems. Small cavities may lurk in between teeth or in the deep recesses of the molars; bleeding gums and a swollen, tender appearance may be the sign of early gingivitis. Even things like a loose filling, a hidden tooth crack, or some other issue can be spotted by the dentist, allowing him or her to correct the situation before it results in tooth loss or severe decay. 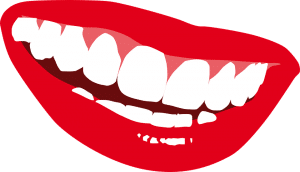 A Brilliant Smile – when our teeth are cleaned professionally by a dentist, the dentist typically finishes the cleaning with a tooth-polishing system. This polishing step works to remove stains caused by coffee, tea, wine, or tobacco use. When the polishing is completed, the teeth look whiter and brighter than ever before. The dentist can also recommend tooth-whitening treatments to make your teeth brilliant. Preventing Tooth Loss – as we age, our teeth may become cracked or chipped. Cavities may form, potentially leading to serious decay and tooth loss. Routine dental cleanings stop decay in its tracks, especially when coupled with regular brushing and flossing. Discussing Tooth and Gum Treatment Options – during routine visits to the family dentist, the dentist has an opportunity to share treatment options and oral health care tips with patients. This is valuable information and can help keep our teeth and gums performing at their peak. Avoiding Cardiovascular Diseases – believe it or not, our tooth and gum health is critical in keeping our hearts and circulatory systems functioning. Gum disease and tooth decay are implicated in serious health conditions like heart attacks and strokes; by seeing the dentist twice a year for cleanings, you can help keep your heart healthy as well!